I always say this to my clients… when it comes to facebook/Instagram give­aways peo­ple love inter­ac­tion. 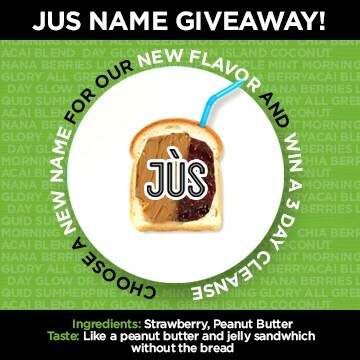 So when Jus by Julie came out with a new fla­vor nat­u­ral­ly we set out to launch a name con­test. And boy was it a hit! We got hun­dreds of incred­i­ble sug­ges­tions and we cer­tain­ly went up in fans. 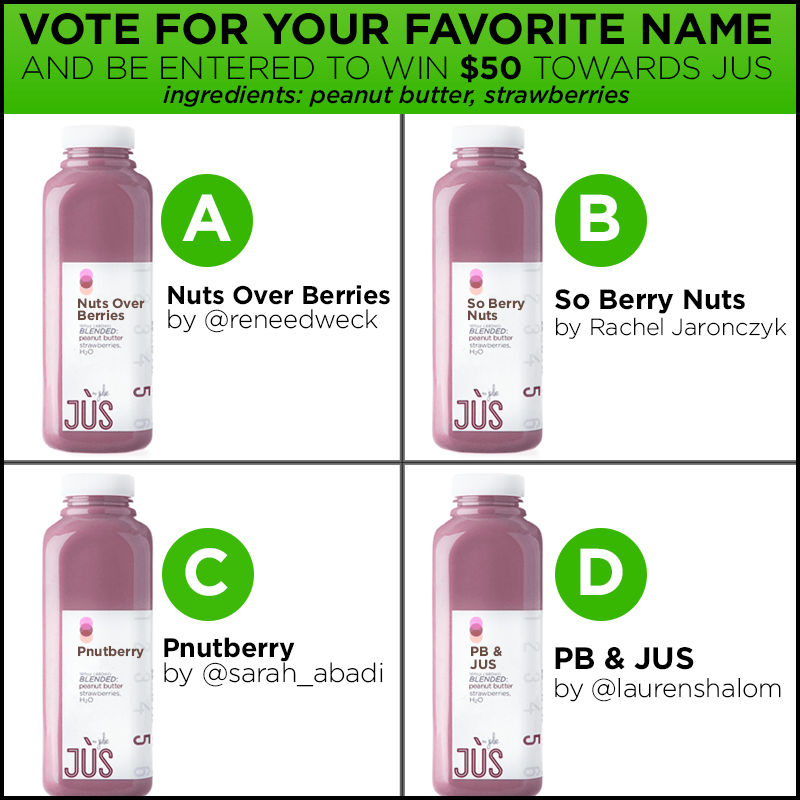 After we got all those names, the con­test didn’t end there…we went ahead and cre­at­ed a new con­test, ask­ing peo­ple to vote for their favorite name. And once again it was a huge hit. We went up may more fans and made our exist­ing fans feel good about help­ing us out. Social media is all about interaction.Once you rec­og­nize that you will have no choice but to suc­ceed!.